Rental scooters have garnered national headlines as they sweep into communities across the country, receiving mixed reviews. 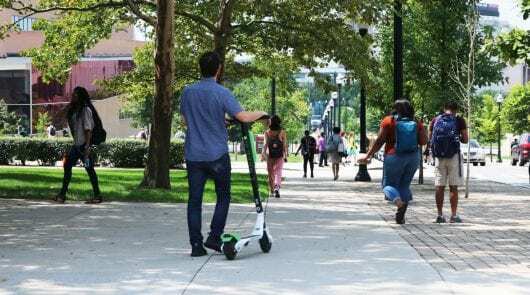 Lime, a rental bike and scooter company, announced last week it was officially operating on campus in conjunction with Ohio State after making its debut in Columbus in July. Lime’s fleet on campus — including bikes and scooters — is comprised of 150 vehicles. Bivenour said they could look into expanding based on their popularity. For the university’s part, the relationship with Lime will replace the recently expired three-year contract of bike-share service Zagster. One of the main concerns of those with indifferent responses to, or downright contempt for, the scooters revolve around safety concerns and riders getting in the way of normal foot and vehicle traffic. 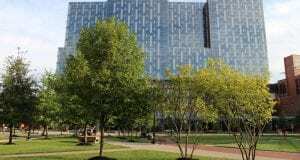 To address those concerns, Ohio State posted rules and guidelines for riding on motorized scooters that can be found on the Transportation and Traffic Management website and in emails issued to all students. Meanwhile, in Columbus, no official ordinances have been passed, though City Attorney Zach Klein has instructed police that riding scooters is legal on sidewalks and roadways. Lime’s strategy to addressing safety is two-fold: giving safety instructions for riding the scooters and engaging and informing the community. Lime has already started working to engage the campus community, making an appearance with a booth at Buck-i-Frenzy. A unique challenge that could present itself on campus is students consuming alcohol at bars and trying to use scooters to get home. Bivenour said the charging process will help mitigate that risk in coordination with community engagement. As far as the negative attention shareable scooters have been receiving, Bivenour noted the amount of the fleet affected is rather small. It remains to be seen if a happy medium will be found between those opposed to scooters and those embracing them. For now, students can continue to zip across campus to classes. Waiting for the first major accident. I’ve already witnessed reckless driving down the middle of busy streets, attempting jumps, and no one wearing a helmet. Seems like some pretty big safety concerns. I’m sure they are great for getting around campus if being responsible. But, carelessness in the roadways is something no one needs. Is there a contract between Lime and the University or did the University just decide to abandon Zagster and let Lime fill the void? Can OSU Police cite scooter riders for riding on sidewalks on campus? I know that the city hasn’t passed a law prohibiting the use of scooters on sidewalks. I imagine the Office of Disability Services might have an issue with how these scooters are left all over the place, impeding the mobility of those in wheelchairs who can’t necessarily navigate around them on the sidewalks….